Can Two Businesses Have the Same Name in Canada? Generally, all businesses operating in Canada must comply with federal, provincial, and municipal laws regarding business names. In practice, what this means is that two businesses may very well have the same name. And if you discover that someone else is operating a business using your business name, you may or may not be able to do anything about it. Whether or not you have any right to ask someone who is using the same business name that you're using to stop using it depends on what level of name protection you have, so to speak. It also depends on how you've legally structured your business. Business owners may think that by just registering their business name, it means that they're the only ones entitled to use it, but that's not true. 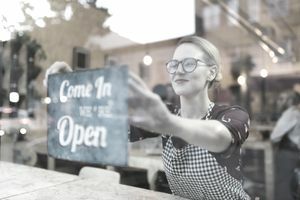 Sole proprietorships and partnerships are the easiest forms of business ownership to set up, but registering either of these forms of business gives absolutely no business name protection. Anyone can start a business with the same or a similar name if they wish. Incorporation, on the other hand, does give some business name protection. When you incorporate your business provincially, that business name is reserved for your use in that province. Note, though, that someone in another province (or elsewhere) could still register and use your business name if they wished. For fuller business name protection, you would have to incorporate your business federally, which would give you the right to use your business name throughout Canada, or incorporate your business interprovincially in each province that you do business in. Part of the process of federal incorporation is performing a NUANS name search which involves submitting your proposed corporate name to the federal database of corporate names for comparison. The federal database includes federal and provincial corporate names, trademarks, and provincially registered business names (with the exception of Quebec). Your proposed business name must be distinctive and not conflict with any existing business name or trademark, or it will not be approved by Corporations Canada. If the business name you want is similar to the name of another business in your geographical area that is providing similar goods or services, chances are your name will not be approved. Also, although your business name may be approved by Corporations Canada this does not absolutely guarantee your right to use the name and the government is not responsible for any legal action that may take place as a result of your name choice. Another business or individual may still consider you in violation and take action against you or you may decide that another business or individual is in violation but any legal action you decide upon is your responsibility, not the government. Trademarking your business name is another avenue you may wish to explore if preventing others from using the same business name as yours is important to you. Having a registered trademark gives you the right to initiate trademark infringement proceedings in either the provincial or federal courts. For maximum brand protection, you should incorporate your business federally and register your trademark. The same trademark laws that apply to registered business names also apply to domain names. If another business or individual has a domain name that can be confused with your trademark you can take action against them for trademark infringement. One of the most famous examples of this was a legal dispute between Microsoft and a high school student named Mike Rowe who registered the domain name "MikeRoweSoft.com". Microsoft took action against Mike Rowe, claiming trademark infringement based on the phonetic resemblance to the Microsoft trademarked corporate name. The dispute was eventually settled out of court. If another business is using the same or similar business name, trademark, or domain name as your business you can begin by sending them a cease-and-desist letter. If the violation continues you can initiate legal action. If you can prove that the name infringement has financially impacted your business you may be entitled to damages.